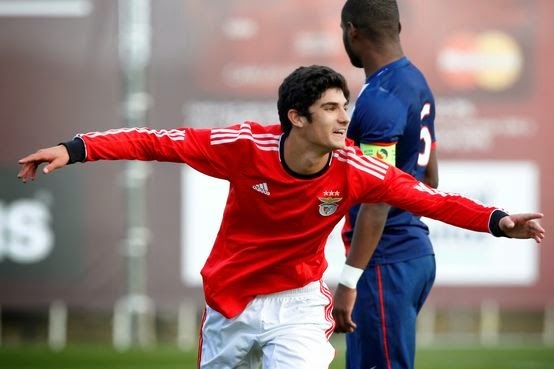 Home » arsenal , Bayern Munich , Benfica , Cristiano Ronaldo , Gonçalo Guedes , Portugal , psg , Real Madrid , Sporting Lisbon » Is Gonçalo Guedes the Next Ronaldo? I've lost count of how many 'Next Diego Maradona's' or 'Next Pele's' there have been over the past few decades, so I suppose it was only a matter of time before the label of 'Next Ronaldo' was attached to a young player. 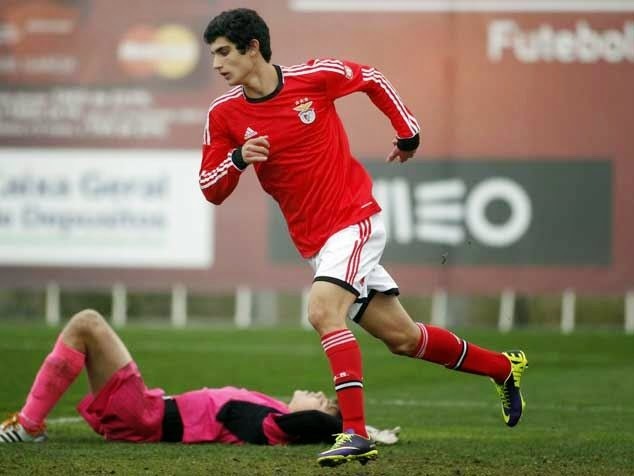 Benfica's 17 year old forward Gonçalo Guedes is barely out of the club's 'B' side but some of Europe's top clubs are already lining up bids for the talented youngster. With his pace, power, and incredible skill it's not hard to see why he's capturing the imagination. Deadly from free kicks, able to shoot from long range with accuracy, and with a confidence that belies his years, the comparison's with Cristiano Ronaldo are understandable. It's a lot of pressure to put on a young player, but he does seem to have the confidence to not let the comparisons bother him too much. Benfica's management knows it's likely only a matter of time before one of Europe's top dogs swoop for his signature, so the club are wisely trying to tie him down to a lucrative 5 year contract. The motivation behind that though may not be purely to keep Guedes at the club, but rather to ensure a sizeable transfer fee when the inevitable offers come in for him. For a kid that's only 17 and hasn't cemented his place in Benfica's side yet, or had a proper run out in Europe, it would seem wise for him to continue with the Portuguese club for the time being and not jump ship, as it's been speculated, in the summer. Although Ronaldo left Sporting Lisbon at a young age and eventually flourished at Manchester United, the number of promising youngsters who join the bigger clubs too early and then harm their development is a far too common occurrence. With PSG, Real Madrid, Bayern Munich and Arsenal all monitoring the situation it may be the best for Benfica and the player himself if they can lock down his five year deal, which reportedly includes a £40 million release clause.